This small orchid arrangement has the same look as the X-LG orchid arrangement: http://www.floristinyou.com/x-lg-orchid The main difference is scale and weight. 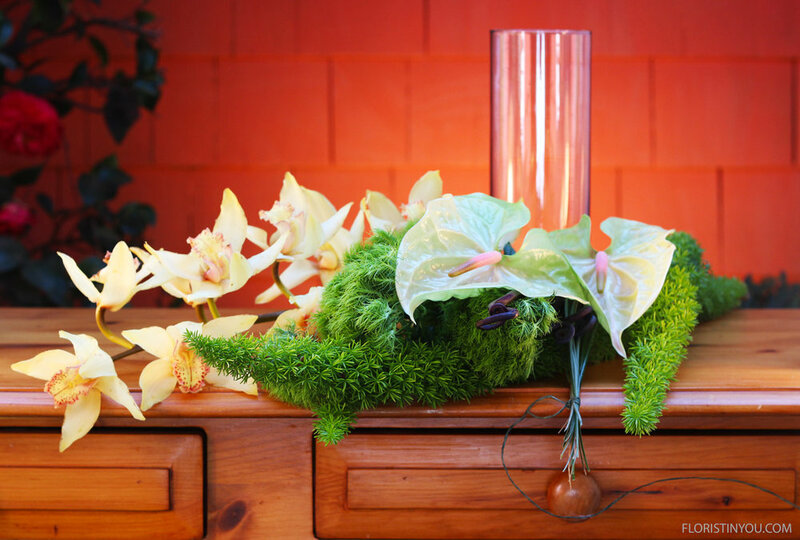 This small arrangement is perfect for an entryway, mantle, or piano. It uses only 1/5th of the flowers and small pebbles instead of river rocks, so it is not heavy like the X-LG arrangement. 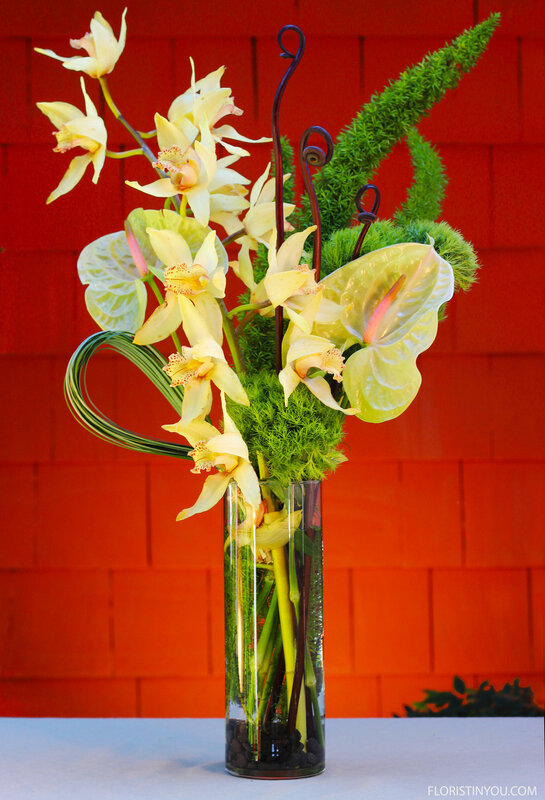 It is much less expensive to make than the X-LG arrangement, especially if you have to purchase the Cymbidiums. 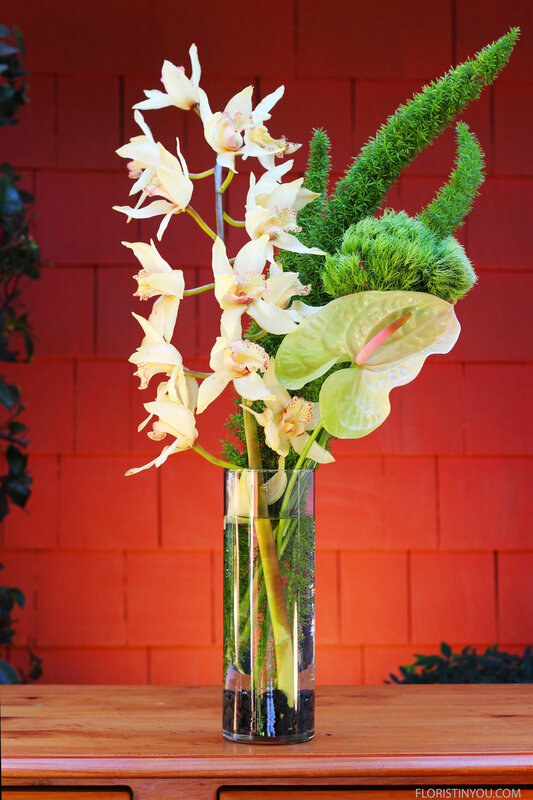 It is nice to know that you could create this arrangement with only one Cymbidium stem. 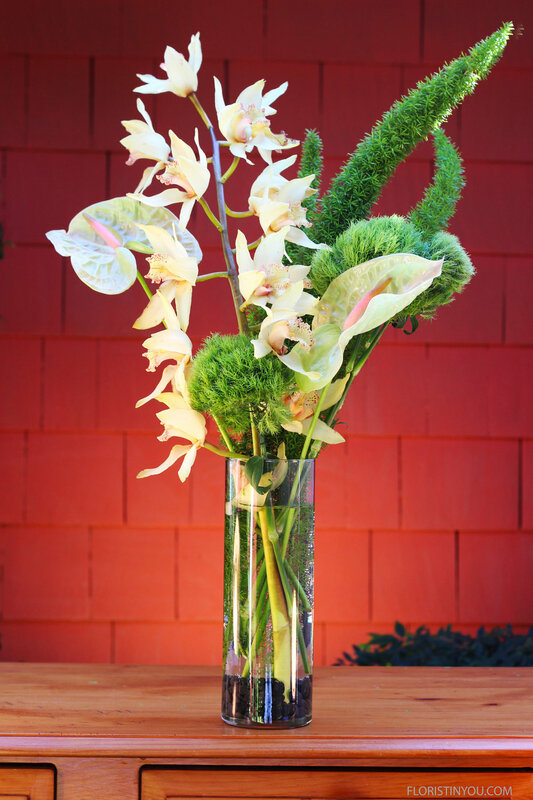 This arrangement pairs the orchids with some exotics: Green Ball Dianthus, Anthurium and Fiddlehead Fern. Green Ball Dianthus are in the same family as carnations. 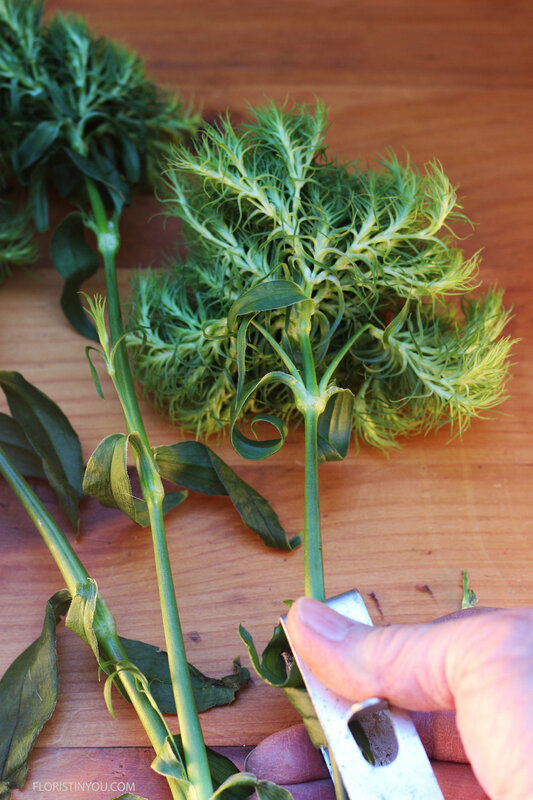 (If you look at the stem you will see it is jointed like a carnation stem.) They are fluffy balls grown in Ecuador and Columbia. If you have your materials, let's begin. 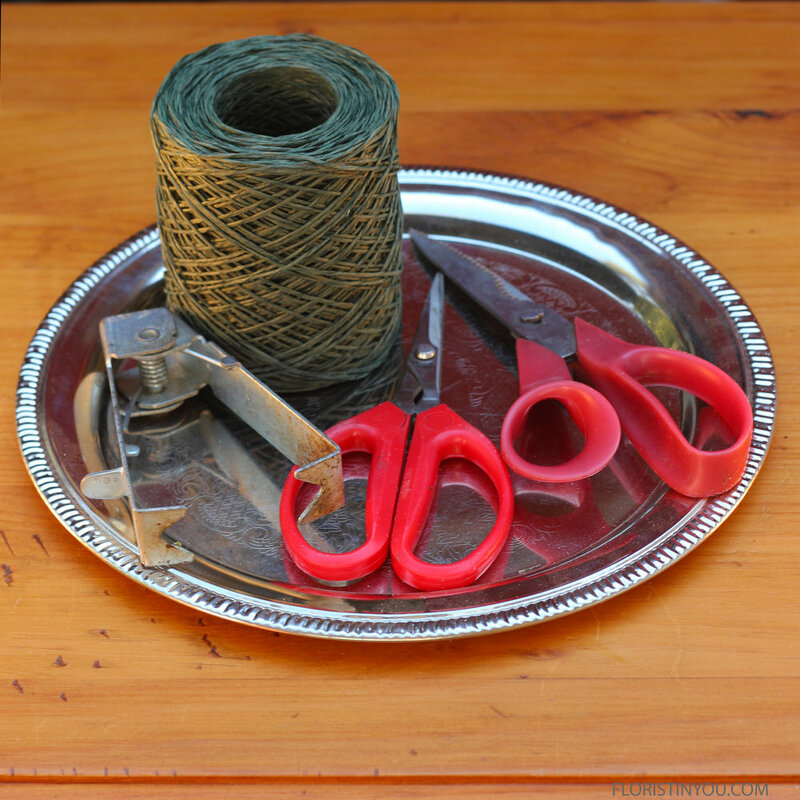 Here are your tools and bind wire. 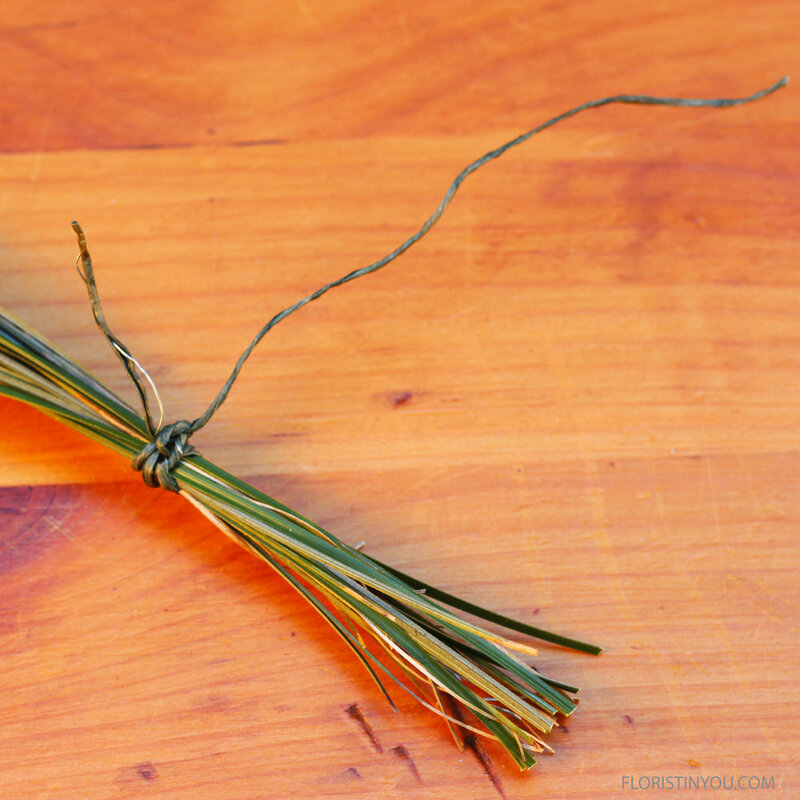 Split Bear Grass in half. Take out short pieces. Put 2 handfuls of pebbles in vase. 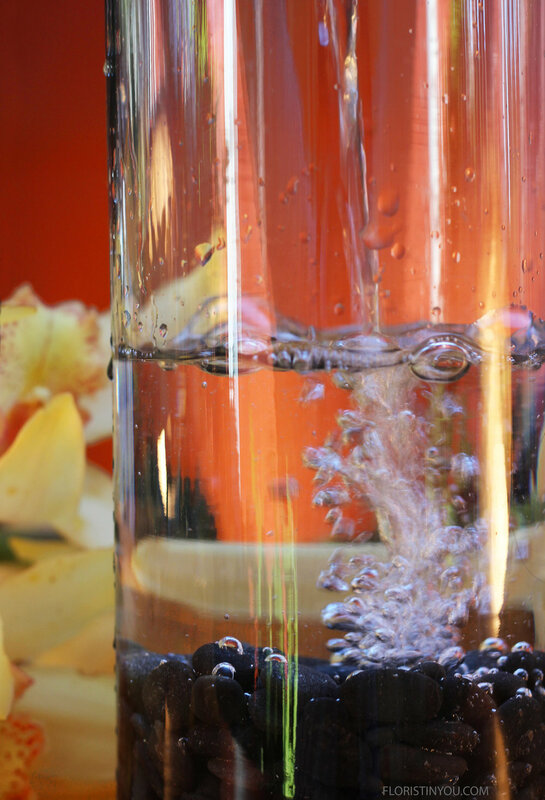 Mix packet floral food in water and pour into vase. Fill to 3 inches below rim. 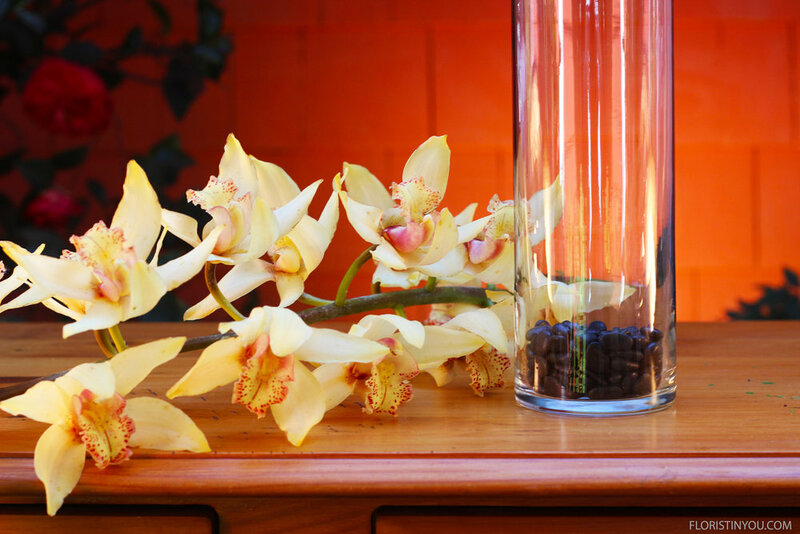 Place orchid stem in vase. Place Asparagus Fern to right of orchid. Strip leaves below water line on Green Ball Dianthus. Add to the right and in front of Asparagus Fern. 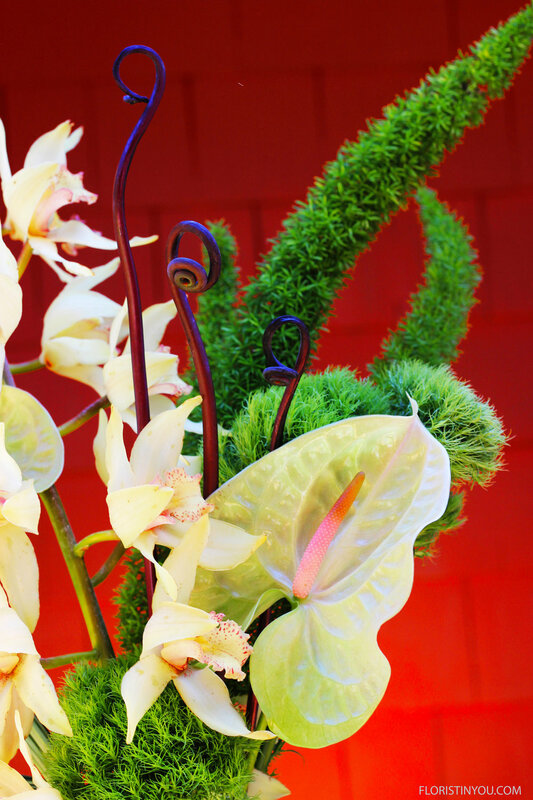 Add 1 Anthurium in front of Green Ball Dianthus. Add 1 Green Ball low to the left, and 1 Anthurium high to the left. 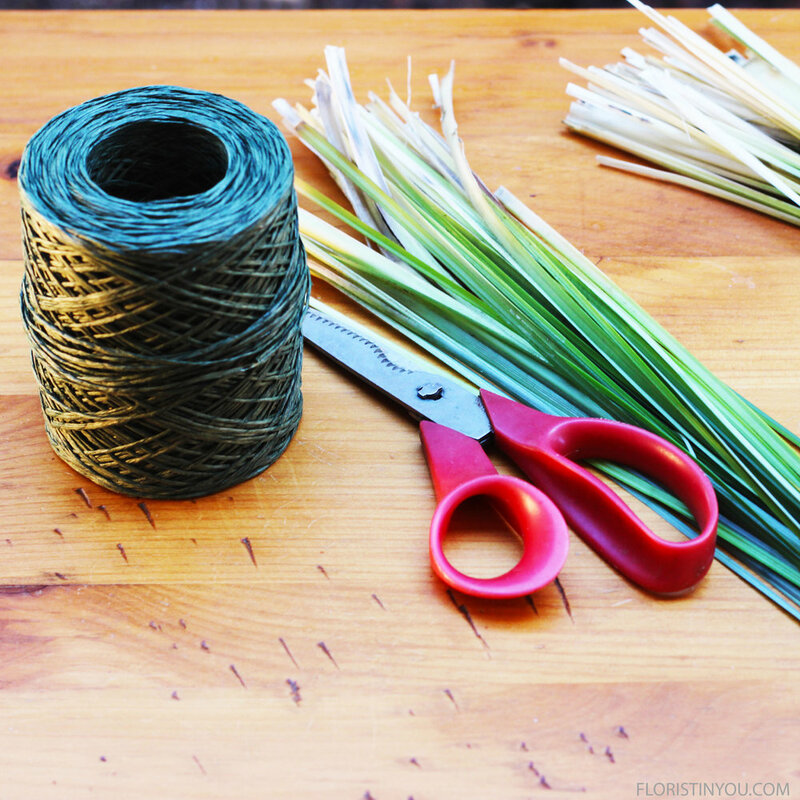 Add Bear Grass loop to the left, 3 Fiddleheads to the right at an angle.